A memorial plaque of Aleksey Zhadov at the building that once housed the headquarters of the 5th Guards Army in the village of New Prague, in present day Kirovohrad Oblast, Ukraine. Aleksey Semenovich Zhadov (Russian: Алексе́й Семёнович Жа́дов), born with the surname "Zhidov" (Russian: Жи́дов), was a Soviet military officer in the Red Army, who during World War II commanded the 66th Army, later renamed the 5th Guards Army, from the Battle of Stalingrad up till the end of the war. For his leadership of the army, Zhadov was awarded the title Hero of the Soviet Union. Postwar, Zhadov commanded the Central Group of Forces and was deputy commander of the Soviet Ground Forces. Aleksey Zhadov was born on 30 March 1901 in the village of Nikolskoye in what is now Sverdlovsk district of Orel Oblast. He joined the Red Army in 1919 and fought in the Russian Civil War. He graduated from the Frunze Military Academy in 1934, and in 1940 he took command of a cavalry division. In late May 1941, while serving as the commander of the 21st Turkestan Mountain Cavalry Division in the Central Asian Military District, he was promoted to command the 4th Airborne Corps stationed in Pukhovichi in the Western Special Military District, the military administration of the Belorussian Soviet Socialist Republic. Having primarily served in the Red Army's cavalry branch for 21 years, the promotion to command an airborne unit was a huge leap of responsibility for him. During the German invasion of the Soviet Union on 22 June 1941, Major General Aleksey Zhadov was en route on a train to Moscow from Tashkent in order to join the 4th Airborne Corps, which was now subordinated to the Soviet Western Front. When he arrived in Moscow on the morning of 24 June, he expected to hear news that the German attack had been promptly repulsed and the fight taken to German territory, but instead he was informed that the Soviet forces in the border areas were being battered and that communication among units and their lines of command had broken down. 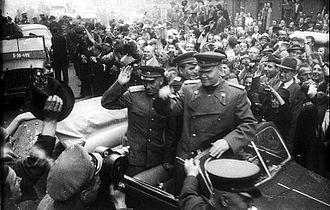 The next day on 25 June, he left on train for Minsk, the capital of Belorussian Soviet Socialist Republic. On the train, he met Colonel Nikolai Naumenko, who was en route to the headquarters of the Western Front's Air Force. After a German air raid while the train was in Orsha, further transportation on the railway was cancelled. He and Naumenko later at night continued in a staff car to Borisov, driving slowly since using headlamps were prohibited. They often got slowed down by heavy traffic moving in the opposite direction and also had to constantly avoiding German air raids. 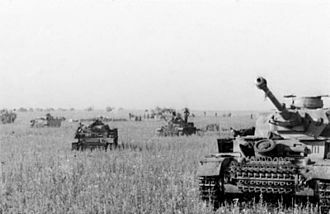 On 27 June, the panzer groups of the German Army Group Center reached the outskirts of Minsk. Zhadov and Naumenko, instead of continuing to Minsk from Borisov, headed southeast to the headquarters of the Western Front located at a forest near Mogilev. On the morning of 28 June, he reported to the commander of the Western Front, General Dmitry Grigoryevich Pavlov, who simply briefed him: "The situation is complex, difficult, and most importantly is unclear." 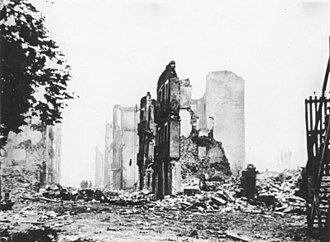 The forces of the Western Front were being mauled by German forces of Army Group Center in the Battle of Białystok–Minsk. 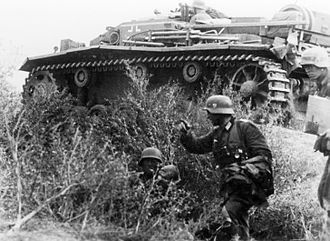 Minsk fell to the German panzer groups of Army Group Center on 28 June, resulting in the encirclement of most of the Western Front's units. On that same day, Pavlov issued orders for the 214th Airborne Brigade of the 4th Airborne Corps to launch an airborne assault in support of Major General Andrei Grigorevich Nikitin's 20th Mechanized Corps against the supply lines of Colonel General Heinz Guderian's 2nd Panzer Group, but there was little information on the condition of 4th Airborne Corps or exactly where it was. On 27 June, the corps had been ordered by the Western Front headquarters to withdraw to the region of the Berezina River beyond the German encirclement, therefore Zhadov had to drive down to the area in hopes of finding any personnel from the unit's headquarters. At first, he couldn't locate his unit, but after a few more trials, he made contact and joined the unit on the night of 29 June. 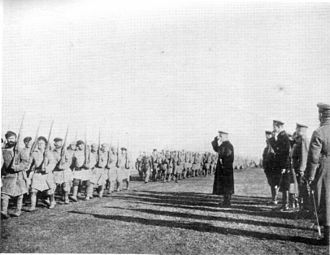 In Zhadov's absence, the corps' Chief of Staff Colonel Alexander Fedorovich Kazankin had been commanding the unit, and had started preparations to execute Pavlov's orders of 28 June. 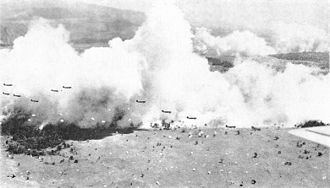 On 30 June, the 214th Airborne Brigade began their attack, but since its paratroopers lacked the aircraft necessary to launch the airborne assault they deployed on trucks. The brigade failed to link up with the 20th Mechanized Corps, and both forces were easily defeated by the 2nd Panzer Group. The remnants of the brigade fought on for 3 months in the German rear and in the frontlines alongside other Soviet units. Throughout the first week of July, the 7th and 8th Airborne Brigades of the 4th Airborne Corps dug-in and defended along the banks of Berezina River. 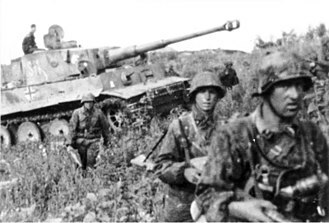 But by 7 July, the German 3rd and 4th Panzer Divisions had reached the Dnieper River far to the rear of Zhadov's two airborne brigades, which both still held their positions along the Berezina River. 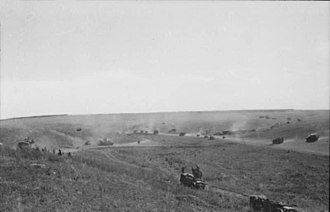 Therefore, Zhadov's units withdrew towards the Dnieper River to avoid being completely cut off, and by 13 July have joined up with Soviet forces defending along the river. In late September, the remnants of the 214th Airborne Brigade were trapped in an encirclement during the Battle of Kiev, but on 24 September 200 survivors escaped the pocket and reached Soviet lines near Lebedyn. On 28 September the survivors reunited with their parent corps at Engel Air Base near Moscow. Starting on 2 August 1941, he served as the Chief of Staff of the 3rd Army, which was commanded by Lieutenant General Vasily Kuznetsov. He participated in the Battle of Moscow. In May 1942 he took command of the 8th Cavalry Corps of the Bryansk Front. In October 1942 he took command of the 66th Army of the Don Front, which he commanded to the end of the war. 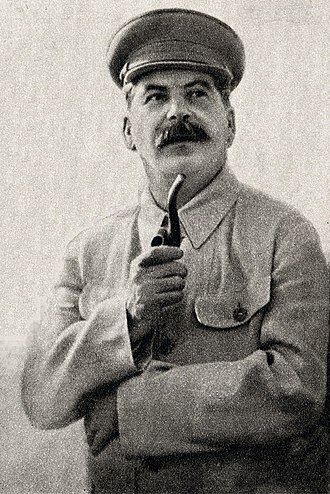 His army took part in the Battle of Stalingrad, during which on 25 November 1942 he changed his surname from "Zhidov" to "Zhadov" on Joseph Stalin's request, because the name[a] sounded Jewish. 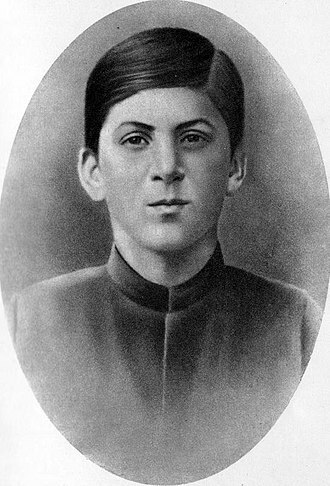 Aleksey Zhadov was in reality ethnically Slav. 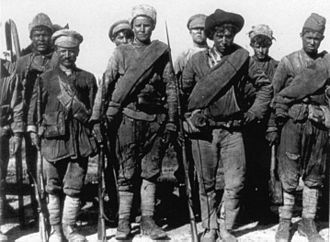 Zhadov's 66th Army was renamed the 5th Guards Army for its bravery and tenacity displayed at Stalingrad. In April 1943 the 5th Guards Army was subordinated to the Steppe Front, and later to the Voronezh Front on 8 July during the Battle of Kursk. 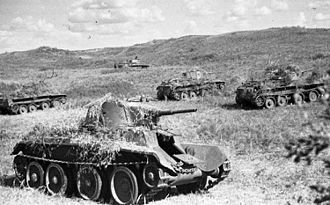 The army took part in one of the largest tank battles in military history, the Battle of Prokhorovka during the Battle of Kursk. On the eve of the tank battle, his army had no tanks and was suffering from a severe shortage of artillery ammunition. Despite reporting that his army was in no shape to support the Soviet counterattack that resulted in the Battle of Prokhorovka, the failure of the counterattack was blamed on him. His army went on to perform successfully in Operation Polkovodets Rumyantsev in the later phase of the Battle of Kursk, and he was awarded the Order of the Red Banner for his army's performance in the Battle of Kursk. He participated in the Dnieper–Carpathian, Lvov–Sandomierz, Vistula–Oder and Prague Offensives. He was awarded Hero of the Soviet Union on 6 April 1945. On 25 April 1945, the 58th Guards Rifle Division of Zhadov's 5th Guards Army met the 69th Infantry Division of the United States First Army at the Elbe River, effectively cutting Germany in two. On 27 April in Torgau on the banks of the Elbe, the formal Handshake of Torgau was commemorated in front of cameras. 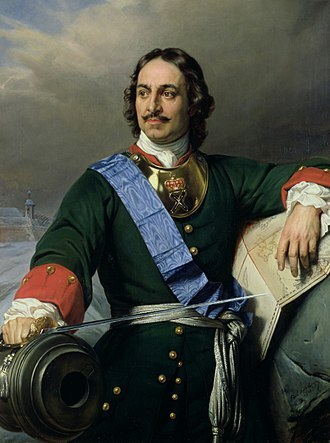 On 30 April Zhadov hosted a boisterous victory party for the commanders and officers of the United States First Army and his 5th Guards Army, which included a banquet and carouse. 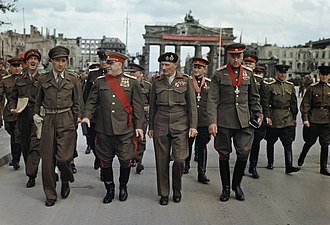 During the party, he presented the First Army's commander, General Courtney Hodges, with the plaque of the 5th Guards Army received from the incumbent Soviet premier Joseph Stalin, and Hodges reciprocated by presenting the First Army's flag to him. After World War II, he served as Deputy Commander-in-Chief of the Soviet Ground Forces from 1946 to 1949, and as the head of the Frunze Military Academy from 1950 to 1954. From 1954 to 1955, he served as the Commander-in-Chief of the Central Group of Forces, and from 1956 to 1964 served as First Deputy Commander-in-Chief of the Soviet Ground Forces. In September 1964 he became First Deputy Chief Inspector of the Ministry of Defense of the Soviet Union. He retired from active duty in 1969. He died on 10 November 1977 and was buried at Novodevichy Cemetery in Moscow. His war memoir, Четыре года войны ("Four years of war"), was published the following year in 1978. He was awarded Hero of the Soviet Union, three Orders of Lenin, an Order of October Revolution, five Orders of Red Banner, two Orders of Suvorov First Class, an Order of Kutuzov First Class, and an Order of the Red Star. ^ His original surname derives from the Russian word "zhid", which is the pejorative name for a jew in Russian. ^ a b c d e f g h i The Great Soviet Encyclopedia. ^ a b c d e f g h i j k l m n Zhadov's War memoir, chapter one. ^ a b c d e f g h i j k l m n o Zamulin 2015, p. 464. ^ Zabecki 1999, p. 1584. ^ Glantz 2010, pp. 29–33. ^ Glantz 2010, p. 56. ^ Glantz 2010, p. 32. ^ a b c Glantz 2010, pp. 32,38. ^ Glantz 1994, p. 50–51. ^ a b Glantz 1994, p. 49. ^ a b Glantz 1994, p. 51. ^ Glantz 1994, p. 52, 55. ^ Glantz 2010, p. 76, shows a detailed map of unit positions on 7 July. ^ Glantz 2010, p. 81, shows a detailed map of unit positions on 10 July. ^ Glantz 2010, p. 102, shows a detailed map of unit positions on 13 July. ^ Glantz 1994, p. 54–55. ^ Glantz 2010, p. 156. ^ Zhadov's War memoir, chapter two. ^ a b Parrish 1996, p. 197. ^ Glantz & House 2004, p. 323. ^ Glantz & House 2004, p. 179, 194–195. 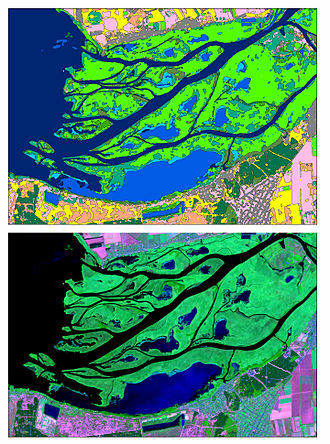 ^ a b BBC News, Elbe Day. ^ Gay 2013, p. 435. "Russians and Americans link at Elbe". British Broadcasting Corporation. Archived from the original on 20 October 2014. Retrieved 28 August 2015. "Aleksey Semenovich Zhadov" (in Russian). The Great Soviet Encyclopedia. Archived from the original on 7 August 2011. Retrieved 23 July 2015. "Chapter two: North-west of Stalingrad (Four years of war)" [Глава вторая: Северо-западнее Сталинграда (Четыре года войны)] (in Russian). 1978. Archived from the original on 27 December 2013. Retrieved 23 July 2015. "Chapter one: In the days of ordeal (Four years of war)" [Глава первая: В дни тяжелых испытаний (Четыре года войны)] (in Russian). 1978. Archived from the original on 27 December 2013. Retrieved 27 August 2015. Gay, Timothy (2013) . Assignment to Hell: The War Against Nazi Germany with Correspondents Walter Cronkite, Andy Rooney, A .J. Liebling, Homer Bigart, and Hal Boyle. New York, USA: NAL Caliber (Penguin Group). ISBN 978-0451417152. Glantz, David M.; House, Jonathan M. (2004) . The Battle of Kursk. Lawrence, KS, USA: University Press of Kansas. ISBN 978-070061335-9. Glantz, David (1994). The history of Soviet airborne forces. 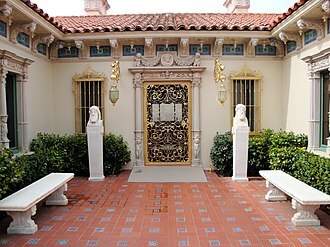 Portland, OR, USA: Frank Cass. ISBN 0-7146-4120-0. Glantz, David (2010). 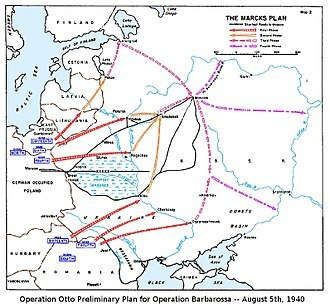 Barbarossa Derailed: The Battle for Smolensk 10 July–10 September 1941, Volume 1. Solihull, UK: Helion & Company. ISBN 978-1906033729. Parrish, Michael (1996). The Lesser Terror: Soviet State Security, 1939-1953. Greenwood Publishing Group. ISBN 978-0275951139. Zamulin, Valeriy (2015). 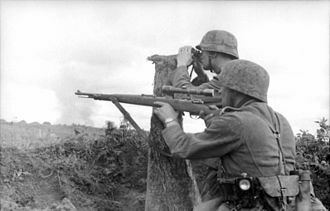 The Battle of Kursk 1943: The View through the Camera Lens. Translated by Stuart Britton. Solihull, UK: Helion & Company. ISBN 978-1909982857. Zabecki, David (1999). World War II in Europe: An Encyclopedia. Routledge. ISBN 978-0824070298. This article is about the Soviet OF9-rank general of the army, not to be mixed up to the Soviet general of the army. For the equivalent OF9-rank in anglophone countries see general of the army, General of the army was a rank of the Soviet Union which was first established in June 1940 as a high rank for Red Army generals, inferior only to the marshal of the Soviet Union. In the following 51 years the Soviet Union created 133 generals of the army,32 of whom were promoted to the rank of marshal of the Soviet Union. It is a counterpart of the Russian Federations general of the army rank. The rank was given to senior officers of the Ministry of Defence and General Staff. From the 1970s, it was frequently given to the heads of the KGB. Soviet generals of the army include Ivan Chernyakhovsky, Aleksei Antonov, Issa Pliyev, the Soviet rank of general of the army is comparable to NATO OF-9 level and equivalent to the UK and US ranks of general and current Russian rank systems have a marshal rank. The corresponding naval rank is admiral of the fleet, which has used in both the Soviet and Russian navies, although conferred much more rarely. After the end of the Second World War, the Soviet High Command reorganized its troops on the territories it liberated from the Nazi occupation and now occupied. Stavka Directive Nr 11097 on 10 June 1945 created several new formations, known as Groups of Forces, equivalent to military districts and its first commander was Marshal of the Soviet Union Ivan Konev. Headquarters was at Baden bei Wien, during the summer of 1945, 7th and 9th Guards Armies were withdrawn back to the Soviet Union. By the end of the summer, the corps directly subordinated to the group had been withdrawn, Army General Vladimir Kurasov commanded the Group from 12 June 1946 to 20 April 1949. In August 1946, the 4th Guards Army was withdrawn to the Odessa Military District, on 20 March 1947, the 5th Guards Army was disbanded. In May 1947, the 3rd and 4th Guards Mechanized Armies, in February 1949, the 2nd Air Army was renumbered as the 59th. On 20 April 1949, Kurasov was replaced by Lieutenant General Vladimir Svirivdov, on 14 May 1953, Colonel General Sergey Biryuzov replaced Sviridov in command. Colonel General Aleksey Semenovich Zhadov took command on 31 May 1954, in June 1955 the group included the following units. The dispositions of the group did not change between and its disbandment in September, the group was disbanded in September 1955 due to the withdrawal of Soviet troops from Austria. The 2nd and 17th Guards Mechanized Division became part of a newly formed Special Corps on Hungarian territory, the 13th Guards Mechanized Division and 95th Guards Rifle Division were moved to the Carpathian Military District. 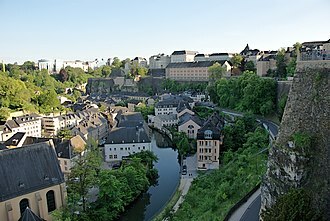 The remaining units, including the headquarters of the 59th Air Army, were disbanded, the Central Group of Forces was reinstituted as a legacy of the 1968 Prague Spring events. Till that time, no Soviet troops were garrisoned within Czechoslovakian territory. 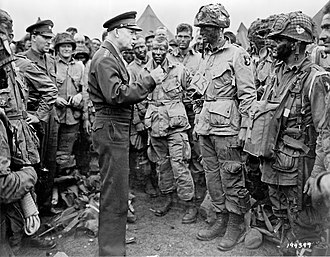 The Central Group of forces had a strength of about 85,000 and included 28th Army Corps headquarters. Forces included two divisions, three mechanized infantry divisions, three missile brigades, an artillery brigade, and an airborne assault brigade. Mogilev is a city in eastern Belarus, about 76 kilometres from the border with Russias Smolensk Oblast and 105 km from the border with Russias Bryansk Oblast. As of 2011, its population was 360,918, up from an estimated 106,000 in 1956 and it is the administrative centre of Mogilev Region and the third largest city in Belarus. 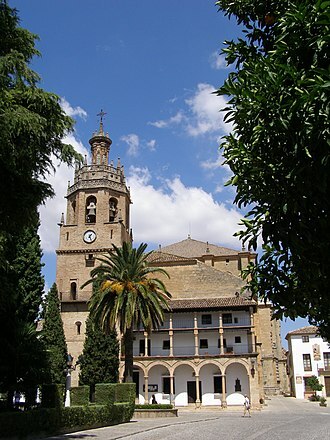 The city is mentioned in sources since 1267. From the 14th century it was part of the Grand Duchy of Lithuania, since the Union of Lublin, part of the Polish-Lithuanian Commonwealth, in 16th-17th century the city flourished as one of the main nodes of the east-west and north-south trading routes. In 1577 Polish King Stefan Batory granted it city rights under Magdeburg law, in 1654, the townsmen negotiated a treaty of surrender to the Russians peacefully, if the Jews were to be expelled and their property divided up among Mogilevs inhabitants. However, instead of expelling the Jews, the Russian troops massacred them after they had led them to the outskirts of the town, after the First Partition of Poland Mogilev became part of the Russian Empire and became the centre of the Mogilev Governorate. 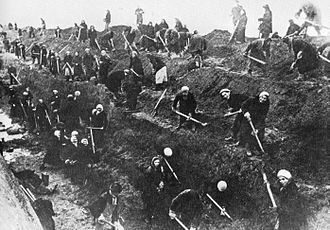 In the years 1915–1917, during World War I, the Stavka, the headquarters of the Russian Imperial Army was based in the city, following the Russian Revolution, in 1918, the city was briefly occupied by Germany and placed under their short-lived Belarusian Peoples Republic. Then, in 1919 it was captured by the forces of Soviet Russia, during the Operation Barbarossa, the city was conquered by Wehrmacht forces on 26 July 1941 and remained under German occupation until 28 June 1944. Mogilev became the residence of High SS and police leader Erich von dem Bach. 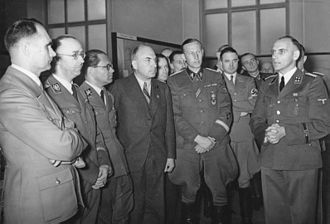 During that period, the Jews of Mogilev were ghettoized and systematically murdered by Ordnungspolizei, heinrich Himmler personally witnessed the executions of 279 Jews on 23 October 1941. Later that month a number of mentally disabled patients were poisoned with car exhaust fumes as an experiment, initial plans for establishing a death camp in Mogilev were abandoned in favour of Maly Trostenets. 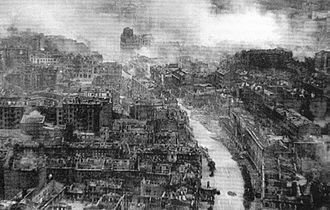 In 1944, the devastated city was reconquered by the Red Army. To the west it bordered Poland. 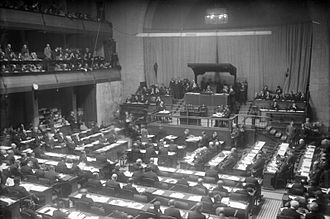 Within the Soviet Union, it bordered Lithuania and Latvian to the north, the Socialist Soviet Republic of Byelorussia was declared by the Bolsheviks on 1 January 1919 following the declaration of independence by the Belarusian Democratic Republic in March 1918. 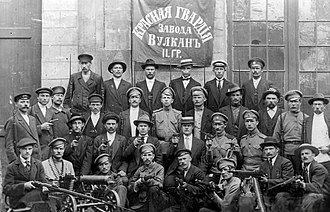 In 1922, the BSSR was one of the four founding members of the Soviet Union, together with the Ukrainian SSR, the Transcaucasian SFSR, Byelorussia was one of several Soviet republics occupied by Nazi Germany during World War II. This non-sovereign country of several million was a UN-founding-member, towards the final years of the Soviet Republics existence, the Supreme Soviet of Byelorussian SSR adopted the Declaration of State Sovereignty on 27 July 1990. On 15 August 1991, Stanislau Shushkevich was elected as the countrys first president, ten days on 25 August 1991, Byelorussian SSR declared its independence and renamed to the Republic of Belarus. The Soviet Union was dissolved four months on December 26,1991 and this asserted that the territories are all Russian and all the peoples are Russian, in the case of the Belarusians, they were variants of the Russian people. 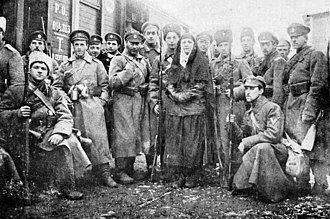 Following the Bolshevik Revolution in 1917, the term White Russia caused some confusion as it was the name of the force that opposed the red Bolsheviks. 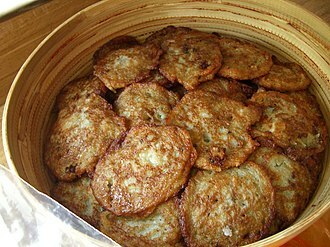 During the period of the Byelorussian SSR, the term Byelorussia was embraced as part of a national consciousness, in western Belarus under Polish control, Byelorussia became commonly used in the regions of Białystok and Grodno during the interwar period. Upon the establishment of the Byelorussian Socialist Soviet Republic in 1920, in 1936, with the proclamation of the 1936 Soviet Constitution, the republic was renamed to the Byelorussian Soviet Socialist Republic transposing the second and third words. On August 25,1991 the Supreme Soviet of the Byelorussian SSR renamed the Soviet republic to the Republic of Belarus, conservative forces in the newly independent Belarus did not support the name change and opposed its inclusion in the 1991 draft of the Constitution of Belarus. Prior to the First World War, Belarusian lands were part of the Russian Empire, during the War, the Russian Western Fronts Great retreat in August/September 1915 ended with the lands of Grodno and most of Vilno guberniyas occupied by Germany. 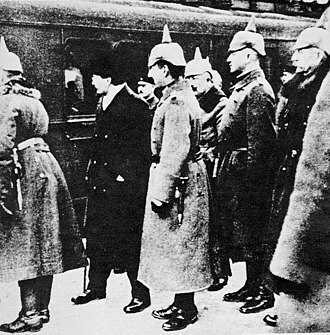 The abdication of the Tsar in light of the February Revolution in Russia in early 1917, as central authority waned, different political and ethnic groups strived for greater self-determination and even secession from the increasingly ineffective Russian Provisional Government. The momentum picked up after the incompetent actions of the 10th Army during the ill-fated Kerensky Offensive during the summer. On 26 November, the committee of workers and soldiers deputies for the Western Oblast was merged with the Western fronts executive committee. 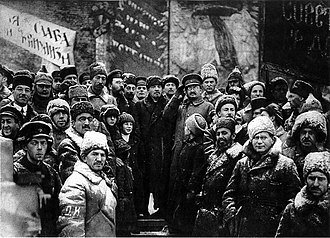 During the autumn 1917/winter of 1918, the Western Oblast was headed by Aleksandr Myasnikyan as head of the Western Oblasts Military Revolutionary Committee, Myasnikyan took over as chair of the Russian Social Democratic Labour Partys committee for Western Oblast and Moisey Kalmanovich as chair of the Obliskomzap. As a result, on 7th of December, when the first All-Belarusian congress convened, a cease-fire was quickly agreed and proper peace negotiations began in December. 2nd Lt. William Robertson and Lt. Alexander Silvashko, Red Army, shown in front of sign East Meets West symbolizing the historic meeting of the Soviet and American Armies, near Torgau, Germany, an arranged photo op on "Elbe Day".